During your time in a relationship with a Thai wife or Thai girlfriend at some stage you will be asked to go to your Thai partners home town/village to meet their Thai parents. Visiting a real Thai village and meeting real families in most cases can be a life changing experience. Never travel to a village in Thailand unless you are prepared to go with an open mind. Most Thai girlfriends and Thai wife tend to come from a poor family background and normally from the Isaan area of Thailand. Isann is located in the North of Thailand. The families in this area in most cases will be rice or fish farmers working in the red hot sun every day, trying to earn a living on a day to day basis because there are not many options to make a fortune. The working class areas of Thailand will make the working class areas of the west look extremely wealthy. In most Thai relationships, the second or the third visit to see your Thai girlfriend or Thai wife you will be invited to meet the future in laws and this will either entail a long bus ride or a plane ride depending on what part of Thailand they are from. Travel with plenty of mosquito spray and make sure at night you wear long pants when the sun goes down or you will be eaten alive and spend the next 3 days itching your legs away. When you arrive in the Thai village, if you do not go with an open mind you will be taken back by how poor the families are and the conditions they live in. It is hard to imagine that the goddess that is standing next to you spent most of her life living in these conditions – happily I might add. Most Thai homes will look like a wooden shack on stilts, will not have a flushing toilet or hot water. Ask your Thai wife – Thai girlfriend first, if the conditions are like this you are well advised to stay in a hotel nearby. Western foreigners we need creature comforts. Within a short space of time of arriving in the Thai village you will be met in the home by the parents and you will be made very welcome, within 1 hour you will find that there will be numerous visitors coming to the home to see you. In most cases they may never have the opportunity to see white skin or a foreigner and they will all sit on the floor and just stare at you for hours like you have 3 heads. Don’t be alarmed, they stare because they are mesmerized by your appearance. The Thai village people will ask you numerous questions in Thai that you can’t answer and you will find they will talk to you as if you understand every word they are saying “this is very funny and should be enjoyed” you will find your Thai girlfriend – Thai wife will answer the questions for you “it is a great experience and don’t forget go with an open mind”. To be hospitable your Thai girlfriend – Thai wife will then go to the local shops and buy food and beverage for family and friends and they will all sit on the floor and eat together. 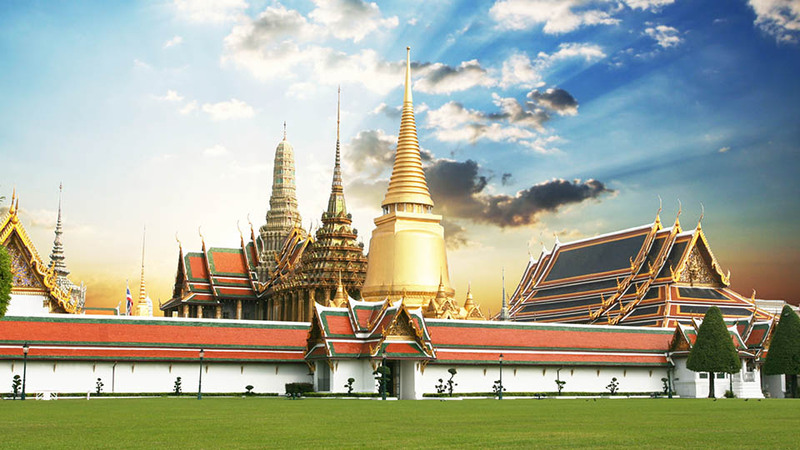 The great thing about this is it gives you chance to experience and understand the Thai culture and you will see your Thai lover at her happiest with her family, relaxed with the pleasure of her family and friends meeting you. In some cases the Thai men in the party will ask you to drink beverage and Thai whisky with them which is your choice and you should sample a little bit to be hospitable because you will have probably paid for the drink anyway. The Thai whisky should be sampled in moderation and make sure you have a few headache tablets with you for the following morning. You will have a wonderful time in the Thai Village and it should always be experienced. Understanding Thailand properly is all about going to the grass roots and experiencing the culture. It will definitely be an experience you will never forget and when you leave the village to return to your tourist destination it will leave you feeling sorry for them and dumbstruck how people in the 21 century can live in these conditions. Most foreigners having fallen in love with their Thai girlfriend – Thai wife will feel obliged to take care of the Thai parents and in most cases will want to help renovate the property to a level of comfort. There is nothing wrong with wanting to help and spend your money to make your partners family home more livable but my advice is to take it easy and have a long relationship first and in your own heart make sure that you are 100% ” Because you have to remember that the Thai family have lived in the same conditions for probably more than 100 years” you follow your own instincts and take it easy and go with your own gut feeling. Sometimes statements are made to help and some people take offence and don’t wish to listen which is their choice. we never write articles to offend or change people’s way of thinking, we write to give guidance and help people to try and understand the Thai culture and their way of thinking.